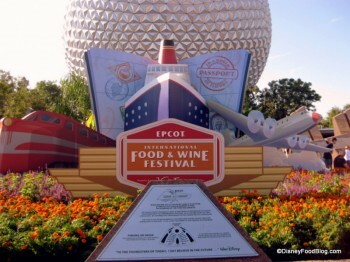 We’re down to just a couple of weeks until the 2012 Epcot Food and Wine Festival opens in Walt Disney World! As you know, here at DFB we’ve been celebrating our countdown with sales on our Disney Dining Guidebooks, and this week we have one of our previous sales back by popular demand! Want to make sure your visit to Walt Disney World is as delicious as possible? Come with us as we celebrate with a month of savings! We got requests from readers to bring back this particular offer for one more week, so here it is! Don’t miss your chance to take advantage of this great deal this week. This bundle packs in all of our e-Books, including the 2012 Epcot Food and Wine Festival Guide, and this week only you can get $4 off using code SAVINGS. This Bundle is priced at a huge discount already (over 25% off), offering a great deal to anyone headed to Walt Disney World. But with our extra $4 off this week, you get the best deal we’ve ever offered on the DFB. 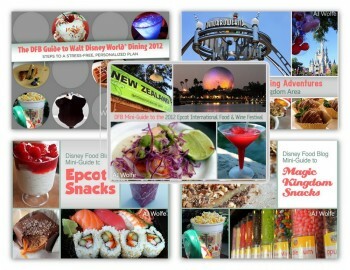 Find out more about the Disney Food Blog Guide Bundle here! And, of course, our Food and Wine Festival countdown month continues with an extra special discount on our best-selling 2012 Epcot Food & Wine Festival e-Book! This 160-page Guide to the best Food and Wine Festival in the World is yours this week for $3 off with code COUNTDOWN. 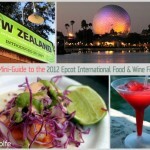 Find out more about the DFB Mini-Guide to the 2012 Epcot Food and Wine Festival e-Book here! Know what you’re getting before spending time and vacation dollars. 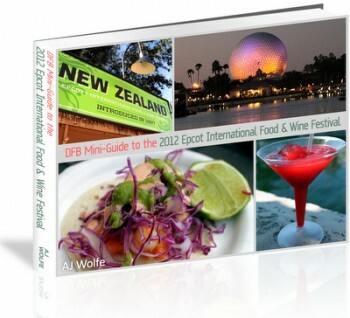 Whether you want to sample wine, enjoy a craft beer, taste test an exotic dish, or find the best dessert, The DFB Mini-Guide to the 2012 Epcot International Food & Wine Festival will help you discover the right strategy for you. So take advantage of these great deals this week, and stay tuned next week to see what other great discounts we introduce as we COUNTDOWN TO THE FESTIVAL!